MERCEDES BENZ CERTIFIED, DEALER MAINTAINED, VERY CLEAN, ONE OWNER, Premium 2 Package, Multimedia Package, 2.0L I4 Turbocharged, 7G-TRONIC PLUS 7-Speed Automatic, 17" Split 5-Spoke Wheels, Blind Spot Assist, Brake assist, Burmester Premium Sound, COMAND® Navigation & Voice Control, Garage door transmitter: Homelink, Heated Front Seats, KEYLESS GO®, LED Headlamps, MB-Tex Upholstery, Multimedia Package, Navigation Map Updates Included For 3 Years, Panorama Sunroof, Premium 2 Package, Rain sensing wipers, Rear-View Camera, SiriusXM Satellite Radio, SiriusXM Traffic and Weather Services, Surround Light Mirror Mounted Entry Lamps. MERCEDES BENZ CERTIFIED, DEALER MAINTAINED, VERY CLEAN, ONE OWNER, 18" 5-Spoke Wheels, Blind Spot Assist, Brake assist, COMAND® Navigation & Voice Control, Electronic Trunk Closer, Emergency communication system: mbrace®2, Garage door transmitter: Homelink, Hands-Free Access Package, Hands-Free Trunk Access, Heated Front Seats, KEYLESS GO®, MB-Tex Upholstery, Multimedia Package, Navigation Map Updates Included For 3 Years, Panorama Sunroof, Premium 1 Package, Rain sensing wipers, Rear-View Camera, SiriusXM Satellite Radio, SiriusXM Traffic and Weather Services, Surround Light Mirror Mounted Entry Lamps. MERCEDES BENZ CERTIFIED, 8" Color Display Upgrade, Android Auto, Apple CarPlay, Auto-Dimming Rearview & Driver-Side Mirrors, Blind Spot Assist, Convenience Package, Garage Door Opener, HANDS-FREE ACCESS, Heated Front Seats, KEYLESS GO®, MB-Tex Upholstery, Power Liftgate, Power passenger seat, Premium Package, Radio: Audio System w/Garmin Navigation Pre-Wiring, Single CD Player, SIRIUSXM Satellite Radio, Smartphone Integration, Smartphone Integration (14U), Wheels: 19" AMG® Multi-Spoke, Black. 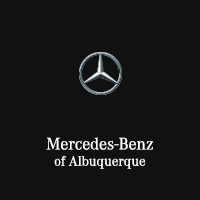 MERCEDES BENZ CERTIFIED, Android Auto, Apple CarPlay, Auto-Dimming Rearview & Driver-Side Mirrors, Blind Spot Assist, Brake assist, Convenience Package, Exterior Parking Camera Rear, Garage Door Opener, HANDS-FREE ACCESS, Heated Front Seats, KEYLESS GO®, MB-Tex Upholstery, Power Driver Seat w/Memory, Power Liftgate, Power Passenger Seat w/Memory, Premium Package, SIRIUSXM Satellite Radio, Smartphone Integration, Smartphone Integration (14U), Wheels: 19" AMG® Multi-Spoke, Black. MERCEDES BENZ CERTIFIED, 8" Color Display Upgrade, Android Auto, Apple CarPlay, Auto-Dimming Rearview & Driver-Side Mirrors, Blind Spot Assist, Brake assist, Convenience Package, Garage Door Opener, HANDS-FREE ACCESS, Heated Front Seats, KEYLESS GO®, MB-Tex Upholstery, Panorama Sunroof, Power Liftgate, Premium Package, Rain sensing wipers, SIRIUSXM Satellite Radio, Smartphone Integration, Smartphone Integration (14U), Wheels: 19" 5-Twin-Spoke, Matte Black. MERCEDES BENZ CERTIFIED, VERY WELL EQUIPPED, AMG Line Exterior, AMG® Body Styling, Android Auto, Apple CarPlay, Auto-Dimming Rearview & Driver-Side Mirrors, Black Headliner, Blind Spot Assist, Convenience Package, Garage Door Opener, HANDS-FREE ACCESS, harman/kardon® Logic 7® Digital Surround, Heated Front Seats, Illuminated Star, KEYLESS GO®, Night Package, Panorama Sunroof, Premium Package, SiriusXM Satellite Radio, Smartphone Integration, Smartphone Integration (14U), Sporty Engine Sound, Wheels: 18" AMG® 5-Spoke w/Black Inlays. MERCEDES BENZ CERTIFIED, 10.25" Center Display, 4-way Power Driver's Lumbar Support, 64-Color Ambient Lighting, Blind Spot Assist, Brake assist, Comfort Box, Electronic Trunk Closer, Exterior Parking Camera Rear, Garage door transmitter: Homelink, HANDS-FREE ACCESS, HANDS-FREE Comfort Package, Heated Front Seats, Illuminated Door Sills, KEYLESS GO®, Live Traffic, MB-Tex Upholstery, Multifunction Sport Steering Wheel, Power Front Seats w/Driver Memory, Power moonroof, Premium Package, SD-Card Navigation Pre-Wiring, SiriusXM Satellite Radio, Wheels: 18" Multispoke w/Black Accents. MERCEDES BENZ CERTIFIED, 2.0L I4 Turbocharged, 9-Speed Automatic, RWD, 4-way Power Driver's Lumbar Support, Blind Spot Assist, Brake assist, Exterior Parking Camera Rear, Fully automatic headlights, Garage door transmitter: Homelink, MB-Tex Upholstery, Power moonroof, Power passenger seat, Speed-sensing steering, Steering wheel mounted audio controls, Wheels: 18" Multispoke w/Black Accents. MERCEDES BENZ CERTIFIED, 10.25" Center Display, 12.3" Digital Instrument Cluster, 64-Color Ambient Lighting, Blind Spot Assist, Brake assist, Comfort Box, Electronic Trunk Closer, Exterior Parking Camera Rear, Garage door transmitter: Homelink, HANDS-FREE ACCESS, HANDS-FREE Comfort Package, Heated Front Seats, Illuminated Door Sills, Illuminated Star, KEYLESS GO®, MB-Tex Upholstery, Panorama Sunroof, Premium Package, Rain sensing wipers, SiriusXM Satellite Radio, Wheels: 18" Multispoke w/Black Accents. MERCEDES BENZ CERTIFIED, 2.0L I4 Turbocharged, 9-Speed Automatic, RWD, 10.25" Center Display, 64-Color Ambient Lighting, Blind Spot Assist, Brake assist, Electronic Trunk Closer, Exterior Parking Camera Rear, Garage door transmitter: Homelink, HANDS-FREE ACCESS, HANDS-FREE Comfort Package, Heated Front Seats, Illuminated Door Sills, KEYLESS GO®, Power moonroof, Premium Package, SiriusXM Satellite Radio, Wheels: 18" AMG® 5-Spoke w/Black Accents. MERCEDES BENZ CERTIFIED, DEALER MAINTAINED, VERY CLEAN, ONE OWNER, Burmester Surround Sound System, 3.0L V6 BiTurbo, 7G-TRONIC PLUS 7-Speed Automatic, 3-Spoke AMG® Sport Steering Wheel, Adaptive Highbeam Assist, Blind Spot Assist, COMAND Navigation & Voice Control, Full-LED Headlamps w/Active Curve Illumination, KEYLESS GO Package Control Code, Lane Keeping Assist, Lane Tracking Package, Manual Mode for Transmission, Night Package Plus, Power moonroof, Power Rear Window Sunshade, Premium 2 Package, Red Seat Belts, Sport Suspension, Trunklid Spoiler, Wheel Package, Wheels: 19" AMG® 7-Spoke Black. MERCEDES BENZ CERTIFIED, Adaptive suspension, AMG Line, AMG Line Bodystyling, AMG Line Exterior, AMG Line Floor Mats, Android Auto, Apple CarPlay, Black Roof Rails, Blind Spot Assist, Brake assist, Emergency communication system, Exterior Parking Camera Rear, Garage door transmitter: Homelink, Heated front seats, MB-Tex Upholstery, Night Package, Night Package (P55), Power Liftgate, Power passenger seat, Smartphone Integration, Smartphone Integration Package, Speed-sensing steering, Wheels: 19" AMG® 5-Spoke w/ Black Accents.